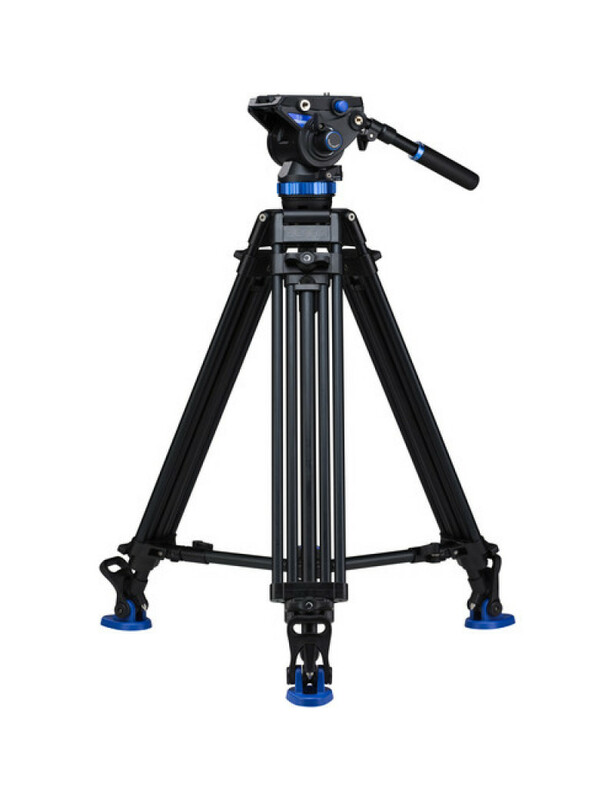 The A373FB’a bigger brother, the A673TM tripod legs can hold as much as 110 lbs. Its double tandem leg design affords great stability while also saving on weight. 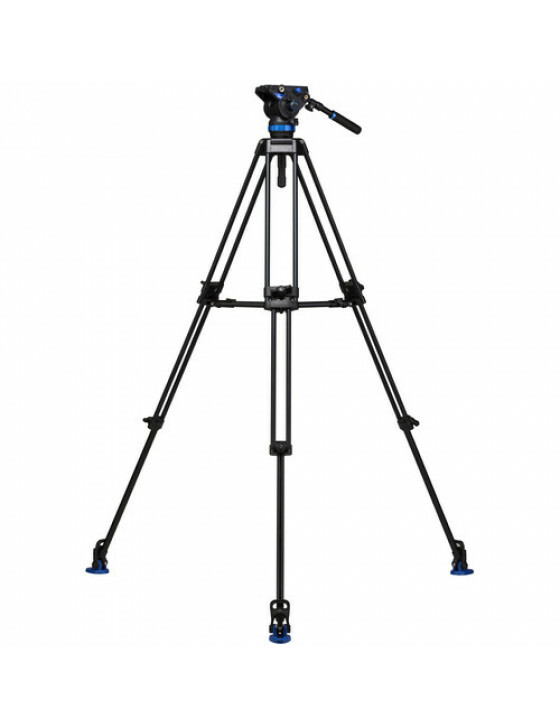 The included ball mounted SB Video head offers smooth, professional movements. Though this tripod tends to be on the large side, it’s still easy to operate thanks to its two stage expandable spreader legs and oversized flip locks. Comes with fluid head, mounting plate, two screws, and bag.